Where do you spend most of your days? If you’re like most people, chances are most of your time is spent at the office. In honor of Administrative Professionals Day we take our hat off to all the hard working administrative professionals out there. We know that sometimes all those long hours at your desk leave little time to take care of your skin. Not all hope is lost, though! To acknowledge all effort we want to help you keep yourself looking beautiful at the office even when it seems like work is getting stressful. In fact, sometimes taking a minute or two to pamper your skin at the office can relieve work-related stress and give you a much-needed break. In the morning before you leave, stick to products that are easy to use and last all day. Use a good cleanser first thing in the morning to wake you up and remove the excess oil and dirt your skin produces overnight. Make sure you have a moisturizer that is hydrating and specifically designed for your skin type. Eye creams and serums will help brighten your peepers. When it comes to your makeup routine, long lasting products are also key. Use foundation primers and eye shadow bases that will make sure that your makeup stays. A pretty face that outlasts 9 to 5? Perfect. Brighten up your face with a lip balm stain in a warm color like cherry or coral. This color brightens your complexion, the stain stays on for a long time without reapplication and the balm has moisturizers that ensure your lips stay hydrated. If you choose a bright color lip color, leave the rest of your face stays neutral to balance. This will also reduce your makeup application time. Always pack the basics in your makeup case so you have the most important skincare items available at a moment’s notice. 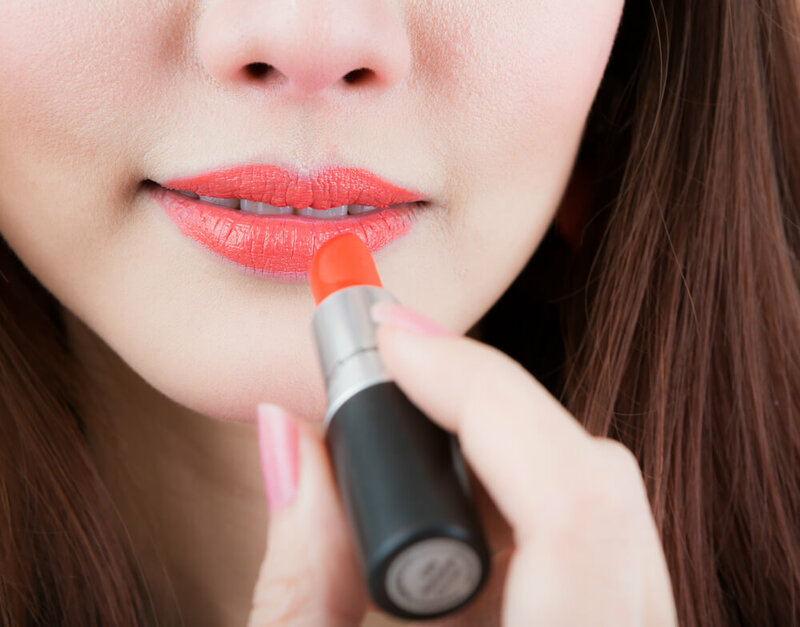 Your favorite lip color, a hand moisturizer and a concealer may be all you need. Don’t forget to spend plenty of time around the water cooler… that is, make sure you drink lots of water. It may sound like a simple thing, but making sure you stay hydrated at the office can benefit your skin in the long term and keep it hydrated from the inside out. Although coffee is delicious and caffeine does have its health benefits, skip a cup and opt for green tea instead. This favorite has plenty of antioxidants that help your body and is beneficial to your skin in fighting free radicals and improving your skin’s elasticity. Take a couple of minutes a day to pack some food and make sure you’re eating right. Snack on healthy foods such as almonds and oranges. Almonds contain Vitamin E and fatty acids that help replenish your skin. Oranges contain Vitamin C, which help produce collagen to keep skin looking supple. Stay away from vending machine foods and over-sugared sodas. Go out and get some exercise. You don’t have to do a full workout, but a 20-minute walk can increase your circulation, give you a needed distraction from work to clear your mind and help rejuvenate you. You will not only make your skin look better, but also relieve stress and tension from a full workload. A spritz of cool water on your face doesn’t only help you cool down when stress is starting to heat you up. It can also help wake you up and make you feel refreshed. Simply purchase a spray bottle and fill it with cool water to store in your desk or in the refrigerator at work. For an extra-special skin treat, you can use chilled green tea instead of water, which has antioxidant power your skin will love. If you’re planning something fun for after work, whether it’s a networking event or a special date, have some makeup available that will help transition you from day to night. Dark eyeliners and bright lip colors can be very quick to transition your look from day to night. We recommend and eye liner shade that highlights your eyes and a red lip crayon suited to your skin tone. We know our tips will have you looking your best at the office. Maybe it is time to ask for that raise you have been wanting! Which of our tips helped you feel most confident at the office and beyond? What are your favorite products to keep in your desk drawer?